Actress Raven-Symoné is 27 years old, she’s been acting for over 20 years, and has had a very successful career as an actress and singer that belies her youth. She was an impossibly cute and precocious 3 year old when she made her professional acting debut as a series regular on The Cosby Show. Raven is grown up now, and she’s an intelligent and beautiful young woman who spends a lot of money on her hair! She was interviewed extensively in Chris Rock’s terrific documentary Good Hair, and if you haven’t watched the film, I recommend seeking it out. Allison Samuels wrote an excellent article for The Daily Beast, entitled “It’s Not Easy for Black Celebrities Like Raven-Symoné to Come Out,” that reveals the challenges and pitfalls that women of color have to consider, before they decide to come out publicly. With those attitudes there is just no way to tell how revealing your sexual preferences will impact your career from the fan side or the business side. As a black performer struggling to work, you cannot afford to take that chance,” Bogle says. For black actresses, performers, and often black women in general, that fear is doubled by the lack of opportunities that plague women of color. Black women routinely receive less pay than their white counterparts for similar jobs. They also climb the corporate ladder at a much slower pace. Many in black Hollywood say Symoné’s early success in Hollywood enabled her to take a chance most would never consider taking. Raven is gifted and talented, and most importantly she’s very smart, so I have no doubt that she will have a bright future, and be successful, in anything that she decides to do. 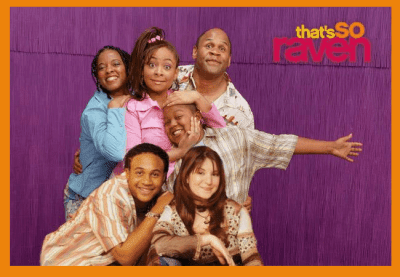 Raven will be a GREAT role model for kids struggling with their sexual identities, and is a great asset to the LGBT community, now that she can live authentically and free. Bravo Raven!